Norway’s biggest bank, DNB, has hired in the former head of the country’s military intelligence unit, to help it deal with a more dangerous and risky world. Kjell Grandhagen, who retired as a three-star general at the end of last year, will serve as a consultant within risk management. “This amounts to recognition by the management of the bank that risk management is an area in need of being strengthened,” Grandhagen told newspaper Dagens Næringsliv (DN) on Tuesday. Grandhagen, age 61, has already started working for DNB at the bank’s Bjørvika headquarters in Oslo, initially under the terms of a two-year contract. 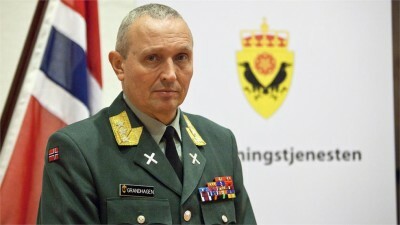 DN reported that the bank “snapped up” Grandhagen just a month after he retired as head of the Norwegian military’s intelligence agency Etterretningstjenesten, better known as E-tjenesten. DNB has a steadily more international presence, especially within the areas of energy, oil and gas, and shipping. That also means exposure to some of the world’s most dangerous and unstable countries and regions in the Middle East, the Gulf, North Africa, Russia and parts of Asia. Grandhagen pointed to Iran as a country that’s now attracting new business interest as sanctions against it are lifted. Both DNB and Norwegian companies need more knowledge about Iran in order to assess risk before investing money and sending staff. “My job is to offer prognoses for development in the future,” Grandhagen said. He listed several factors that can influence risk factors in any given country, including regime stability, corruption, terror, war, conflict and rule of law. Grandhagen stressed that he’ll be working with DNB’s own risk management team that has experience in assessing credit-worthiness. He said it would be a major transition to move from the defense department to the private sector, “but the methodology isn’t so different.” One of the biggest differences, he said, was working in DNB’s “open landscape” that not all DNB employees are at ease with either. “But the job is such that I can also work somewhat from home,” Grandhagen said.